Our journey began with you. The Bern Report is a grassroots movement with 42,000 Facebook fans and 11,000 Twitter followers and is growing quickly. Our website averages above 1 million views per month. Over the course of last year you have held us up, shouted your support, and let it be heard that you demand representation in the media. Help us stay on top as we rocket into the future as a leader in progressive politics and reporting. We are nothing without you, and our thanks will never be enough. Instead, we pledge truth and integrity in every article. A small business begins with an idea in the living room and is made or broken on the hard work of the creators. Money makes it easier, much easier, and our personal coffers have begun to run dry. We need help to grow into our next stage of providing free media and progressive platform information. TBR is a grassroots progressive news organization of volunteers funded entirely from their own donations. At current, admin of TBR pays all expenses and writers out of pocket. Our movement goes beyond a single candidate, and into the future of progressive news, activism, events, job listings, and Co-Op opportunities. This election cycle has made it undeniable that there is little truth and integrity left in journalism. Mainstream news outlets are beholden to advertisers and maintaining revenue numbers. This includes the publication of non-marked advertorials that appear on their sites and in print. These advertorials are purchased by advertisers, and have been paid to contain certain content. The ability to pay for what is written removes investigative reporting and truth and accuracy in media. All funds raised will be put to administration of The Bern Report such as server fees, providing inexpensive South West flights for reporters/photographers to events, contributing to living wages of reporters, and keeping us up and running without advertising dollars. Funds are needed immediately to help place writers at the National Convention in Philadelphia. 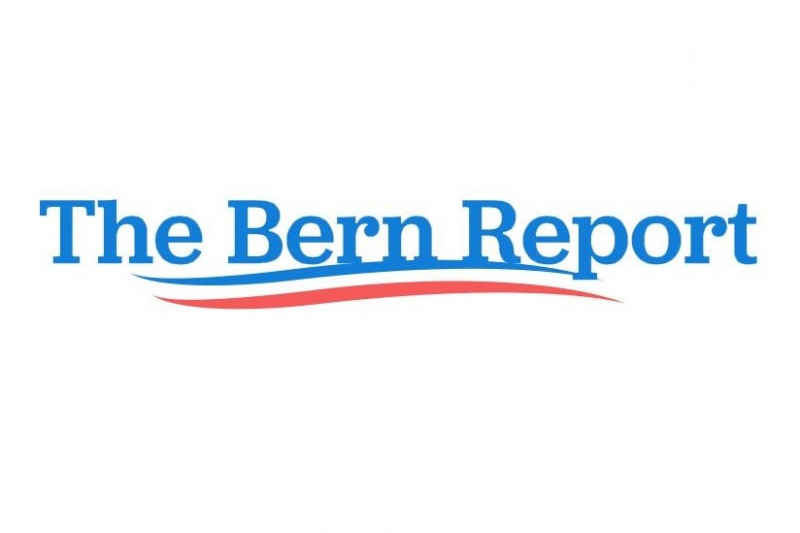 The Bern Report is our passion, and we strive to deliver content that is relevant, important, and imparts a future to believe in that is achievable for all. Your contribution is invaluable to us and we thank you. We have reached $1,213 of our goal. Thank you TBR Fans! Your small donations are helping us achieve our dream. Maintaining truth in media is about everyone, and mainstream media is sponsored and paid for content. Thank you for helping writers keep up their journalistic integrity for the love of writing, rather than the need of a paycheck. The Bern Report has been funded entirely out of pocket for the last year. You are enabling us to grow and welcome more content, as well as continue the movement for truth in media. Thank you for being part of our progressive news revolution! Courtney, first of all the fundraiser is not just for hosting fees. Secondly, in regard to hosting fees, the website gets well north of 1 million views per month and needs to be on a dedicated server system in order to handle traffic spikes. So, while I agree that some sites could function on a cheap hosting plan, ours isn't one of them. Courtney- better than letting big business fund. There's more to a site than hosting fees. In the words of Nicolle Wallace, a former Republican White House Staffer under George Bush jr, Bernie Sanders stayed in the race for two months two long, and Sander's ongoing attacks on Hillary Clinton hurt her popularity. Don't expect support from Moderate Democrats in 2020 if Bernie Runs. I'll vote Trump before Sanders if those are my only two choices. Which probably pleases the behind scenes people for both Trump and Sanders, who worked together in Eastern Europe a decade ago as political consultants. Are you kidding me? you want $15K to keep a site online? Hosting is less than 100 bux a year! just like a typical bernie supporter- give me money! Your site is a fraud. You censor differing viewpoints from commenting in the comments section even when the comments are from fellow democrats. Of course you are not really a democrat, just a pretend democrat when it serves your purpose. Truth in Media, give me a break. It's just your version of the truth. At www.dailypuma.blogspot.com we don't discriminate.